90-yr-old Charles Zentai will not leave the comfort of his Perth home to face questioning in Hungary about the 1944 murder of 18-yr-old Peter Balazs in Budapest…and Federal MP Michael Danby has slammed the decision of the High Court freeing Zentai. In 1948, the People’s Court of Budapest indicted three men on charges of beating the Jewish youth to death after pulling him off a tram for not wearing the Yellow Star of David and dragging him to a nearby army barracks where he was brutally beaten to death in front of watching prisoners. His body was then dumped in the Danube. 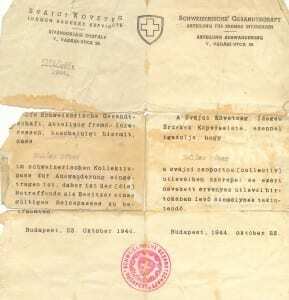 Balazs had papers placing him under the protection of the Swiss negating the mandatory wearing of the yellow star. In 2009, extradition proceedings initiated four years earlier were approved by the Government but blocked on appeal based on the non-existence of a war crime in Hungary at the time of the alleged offence. The Minister for Home Affairs Brendan O’Connor appealed the decision but his appeal failed in the High Court today. Michael Danby MP, Federal Member for Melbourne Ports today told parliament that he and many members regretted the decision of the High Court not to allow the extradition of Charles Zentai. The Federal Government had approved Mr Zenati’s extradition to Hungary in November 2008, but this was overturned by the federal Court in August 2011. Today’s decision means that Mr Zentai will not be extradited to Hungary to face charges of murdering Balazs in November 1944 while Zentai served in the Hungarian Army. Despite the fact that Hungary enacted laws in 1945 which retrospectively introduced the war crimes offence, the Court ruled that the Minister for Home Affairs was precluded from surrendering Mr Zentai for extradition as it was not satisfied that the offence of ‘war crimes’ was an offence against the law of Hungary on November 8 1944. 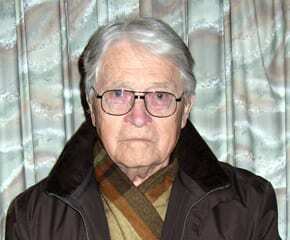 ‘The idea that countries in Nazi occupied Europe would have a specific offence of war crimes prior to 1945 demonstrates a degree of crazed legalism, a-historism and downright parochial political correctness.” Danby said. 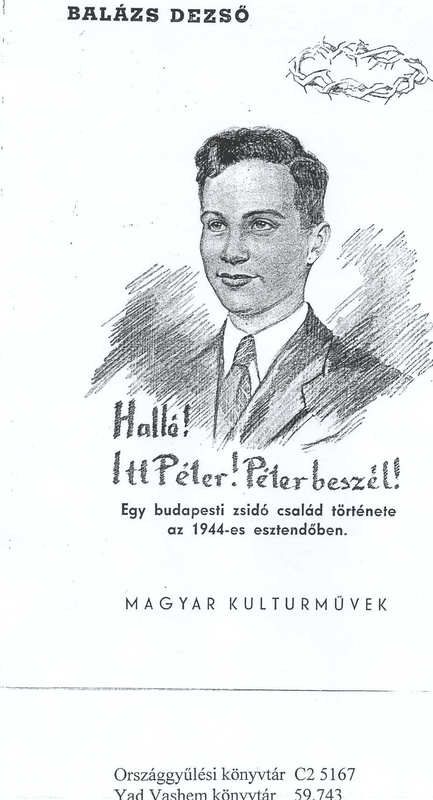 The violent death of the young boy Peter Balazs in Hungary in 1944 was completely unrelated to any military operations which were then under way. The alleged conduct therefore constituted not only a war crime but also murder. Most civilized countries, including Australia, do not place a legal time limit on bringing murder charges. “The decision that Charles Zentai cannot be extradited to Hungary to face judgement for alleged war crimes is extremely disappointing. The matter ideally would have been dealt with many years ago, with any court time spent determining guilt or innocence rather than technicalities relating to an extradition request. The serious accusations have been in the public arena and it would have appeared to be in the interests of the accused, if he was innocent, to have them dealt with expeditiously when he was arrested in Perth more than seven years ago. It is now incumbent on Australian authorities to assess whether he can and should be charged under Australian legislation which is designed to ensure that no person who participated in crimes against humanity can escape justice through immigration to Australia”. Jeremy Jones is the Director of International and of Community Affairs for AIJAC [Australia/Israel & Jewish Affairs Council] who with journalist Mark Aarons, led the public campaign which resulted in the Menzies Inquiry which resulted in the amending of Australian law to allow for prosecution in Australia of Nazi War Criminals and the establishment of the Special investigations Unit, beginning in 1986. Jones told J-Wire: “The decision that Charles Zentai cannot be extradited to Hungary to face judgement for alleged war crimes is extremely disappointing. The matter ideally would have been dealt with many years ago, with any court time spent determining guilt or innocence rather than technicalities relating to an extradition request. The serious accusations have been in the public arena and it would have appeared to be in the interests of the accused, if he was innocent, to have them dealt with expeditiously when he was arrested in Perth more than seven years ago. It is now incumbent on Australian authorities to assess whether he can and should be charged under Australian legislation which is designed to ensure that no person who participated in crimes against humanity can escape justice through immigration to Australia”. In 2009, Zentai spent more than two months in prison in Perth awaiting the outcome of extradition proceedings. In June 2005, J-Wire’s editor published the following through JTA for whom he was the Australian correspondent. 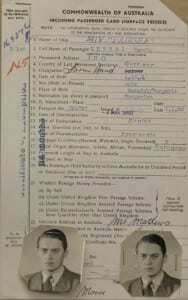 The document was in Hungarian and was translated at the Sydney Jewish Museum by the late John Wiener. 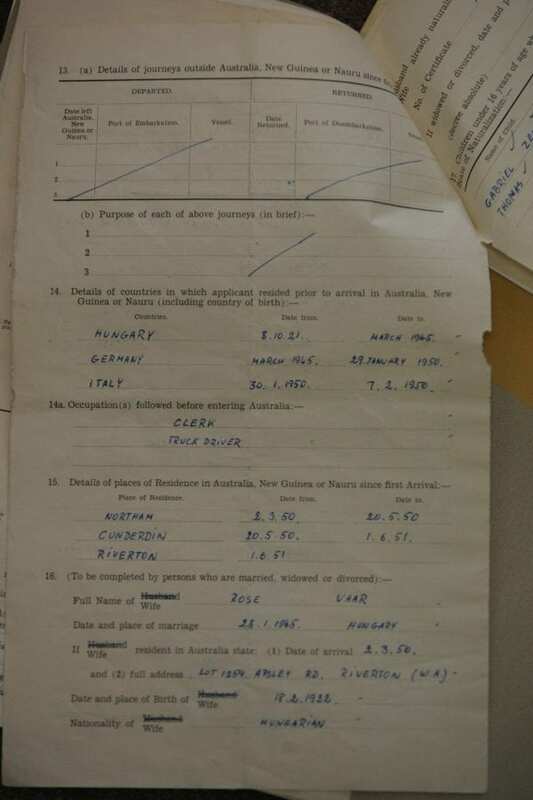 JTA has received a 1948 document calling for the arrest of alleged Australian WWII war criminal Charles Zentai. Zentai who is alleged to have pulled an 18-year-old Peter Balazs off a Budapest tram and taken him back to his army barracks where Balazs was tortured and beaten to death. Zentai had lived in the same neighbourhood as Balazs and had noticed he was not wearing the mandatory yellow Star of David. In other documents sourced by J-Wire current editorial staff, it was revealed that Balazs had been issued with papers granting him Swiss protection on October 23, 1944…only sixteen days before he met his death. The warrant for Zentai’s arrest was issued by the People’s Court in Budapest on April 27, 1948 and was issued by Dr Barthe Andres. But Zentai had fled to Germany and later successfully sought immigration to Australia where he arrived in 1950. He has lived in Perth ever since. For an accused, now living out of the country. 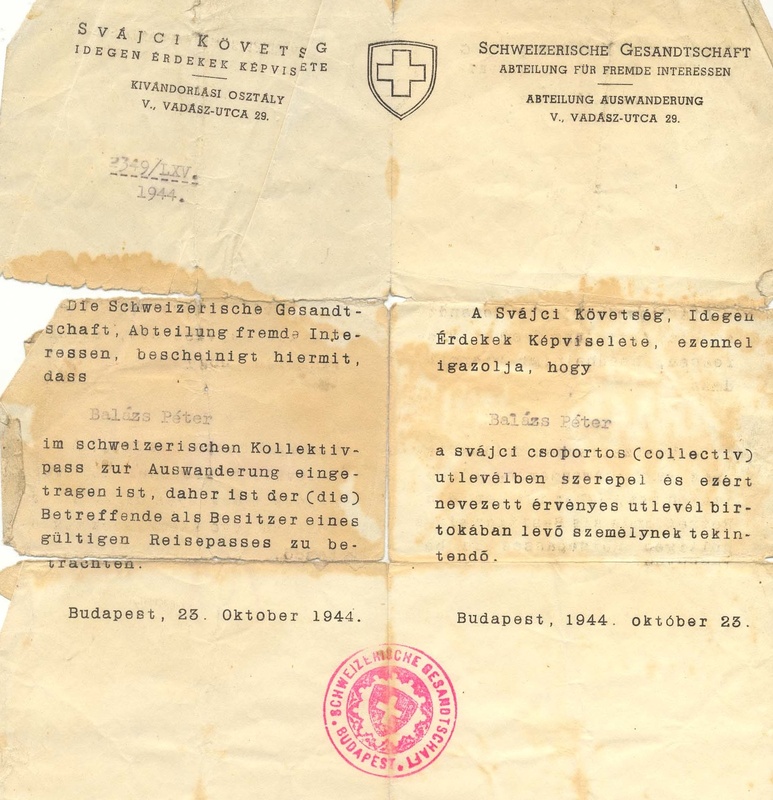 The People’s Court issued a warrant for the arrest of Karoly Zentai, [Steiner], a Hungarian citizen, under heavy suspicion that, after the 15th October, 1944, serving as a sub-lieutenant in the 101/306 train-unit, he took repeatedly part in anti-Jewish actions, and had, on every occasion, treated all Jews delivered to him into the military barracks with the utmost cruelty. On November 8, 1944, the accused, together with the already sentenced to death Nagy and with the to lifelong hard labour sentenced Mader. 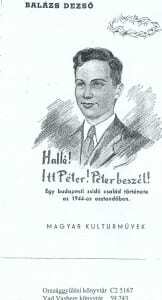 had arrested the son of Dr Dezso Balazs named Peter and took him to the military barracks at 51 Arena St where, together with the two above mentioned, beginning at 3 p.m. and lasting till 8 p.m. have administered such non-stop cruel beatings that by 8 p.m. Peter Balazs died from his injuries. Mader and Nagy placed the body onto a cart, covered it with hay, took it to the Danube where they tied stones to the body and threw it into the water. Through this action, they have committed a war crime, in so far that they took part in an unlawful execution and torture inside the country. Since the accused has fled to another land, the People’s Court orders his arrest and detention. Other documents received by JTA graphically describe how other prisoners scheduled for execution were forced to watch Balazs being tortured and were told that this is what lay in store for them the next day. In March this year, the Hungarian government officially requested the extradition of Zentai from Australia. The matter is currently in the hands of Minister of Justice, Senator Chris Ellison. A spokesman for the Senator told JTA: “We are legally not in a position to make any comment on this case.” He refused to confirm or deny that the Government had received a copy of the arrest warrant. Australian law has allowanced for charging alleged war criminals within its own sovereignty. The 1948 warrant discloses that the penalties available to the court at that time were death or forced labour for life. Anna Berger, the president of The Australian Association of Jewish Holocaust Survivors & Descendants said: “The decision by the Australian High Court not to extradite Charles Zentai is deeply disappointing and disturbing. A properly constituted judiciary in post Holocaust Hungary found that this man had a case to answer and has been attempting to have him do so for decades. The judgement not to comply with Hungary’s extradition request seems to rest on an odd interpretation of a point of law, without any semblance of justice. Among its potentially unwanted and unexpected consequences is the message of comfort to other possible war criminals that Australia is a safe haven while ironically denying Zentai himself the opportunity of proving his claims of innocence. Australia has never had a successful prosecution or extradition related to Nazi war crimes. How convenient to omit naming the source and circumstances of the accusations . Statements obtained under duress at the 1948 Stalinist show trial are about politics not justice. UN ICTY Prosecuter Ierace has also indicated that extradition should not be used to circumvent genuine justice where there are no accusers and no living witnesses. These two factors alone are reason enough to convince me that the great man of justice Simon Wiesenthal would never have employed either! It is now time to honour those Jews who suffered and were persecuted and not to create yet another victim of injustice. 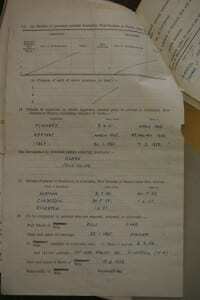 Using the standard expression ” Clive I know where you come from ” I will complete it with the exact place i.e. some wrotten rat-hole ! Idiotic statements neglecting known sources, names and statements in court available may not be invalidated by the “Stalinist excuse “. This Clive moronic intruder reckons that accusations of murders committed by armies of Hungarian animals in the service of one of the most horriffic anti Semitic regimes, attested for murdering in broad day light in the middle of a “civilised”metropolis, Budapest, thousands of Jews, littering the Danube with corpses, were the workings of imaginary trials of a farcical Stalinist judicial system. Rat hole is too good a place for this kind of monsters ! 1st my real name is Otto and inverted commas don’t make sense. 2nd if “alleged” changes the complexity of the case you must be either naive or not well versed in matters ethical, or both, or worse – I personally would go for worse. The accusations against Zentai were NEVER classed as “slanderous”, nor withdrawn as such by the varied Courts he has been through. The accusations still STAND !!! The High Court DID NOT DISMISS the accusations .As such, you are incredibly wrong, tendentious and without any moral standing, to put it plain, incredibly ignorant.. Lawsuit has nothing to do with it as I would be more than happy to appear in any court on this case. The addition of allegation was made to reflect the judicial nature of the case, the necessary correct use of legal terminology. The Zentai case is one of the most serious of its kind in Australia and no one can take umbrage under the current decision of the High Court in terms of seriousness of the allegations. Ergo, you are at no moral dvantage at all !!! Sorry, and you can all jump down my throat if you want to. I cannot believe my eyes ! Why did you post that statement !!?? Well Otto. You’d better believe your eyes. This is ancient history and so is the man. If he’s guilty it’ll be on his conscience until the day he dies. You can’t believe your eyes, neither can I at half the stuff you dish up. Shirlee ,I am delighted that I manage to amaze you at times, considering the tough stuff you are made of, you know wha’ a mean !! this is serious and “ancient history” has nothing to do with it. It is “history” that I am a living part of and I reckon I am less ancient than you…..
Rude to the end I see Otto. Might be easier if Hungarian investegators are permitted to interrogate him in Perth. the analogy with the Pope is incredibly imature, unintelligent. Zentai is alleged to have murdered a defenceless civilian while in the service of his country’s army. The allegations have been serious enough to cause the Hungarian state to request his extradition. The decision of the High Court does not deny the allegation of murder but, on an incredible absurdity of the legal kind, claims that laws proclamed by a nazi type regime are VALID in today’s interpretation of murder. According to the substance of the allegations , Zentai is most likely to have been part of a greater number of Hungarian vicious murdereous lot who have murdered thousands of innocent Jews prior and post the Nyilas takeover. In my family alone those murderers have caused nearly one hundred victims. If Zentai has been identified as a possible part of the same murderers through a lengthy forensic process lasting decades now, the likelyhood of Zentai not being a party to known murderous acts is very strong. True, the extention of guilt by association does not function in the legal system, but the reasons given by the High Court , the ONLY one objecting to Zentai facing criminal charges in Hungary , where, I repeat, he is considered a very probable murderer, do not exhonerate his alleged guilt. The High Court had, thus, validated the laws that were promulgated by nazi type regimes by stating that those acting within those laws could not be considered guilty in accordance to those specific laws. This defends the entire criminal nature of all laws applied during the respective regimes and, implicitely, all those acting accordingly. This is simply a statement declaring that the whole Shoah was legally valid !!! Joel and all those concerned, this is precisely what is argued here and also prceisely why I cannot but be abhored by your attempt at defending an alleged, not exhonerated, murderer, Zentai !!! read”…..the likelihood of Zenati BEING a party to known murderous acts is very strong”. otto, why do you call him a murderer??????? Has he been found guilty???? NOT!!!! That’s like me calling the Pope a murderer, so don’t be so flippant with your accusations. What a farce. If only the charge had been specified as “murder” not war crime. The fact that Zentai is 90 is irrelevant. It makes it worse. He has lived 72 years longer than his victim. And the circumstances of Peter Balazs’ death make it clear it took place because of the premeditation and intitiative of Zentai. The fact that Balazs had protective papers which were legally recognised at the time reinforces the fact that Zentai was acting as an individual when he committed murder, and not on behalf of the Nazis. He should answer for this crime.